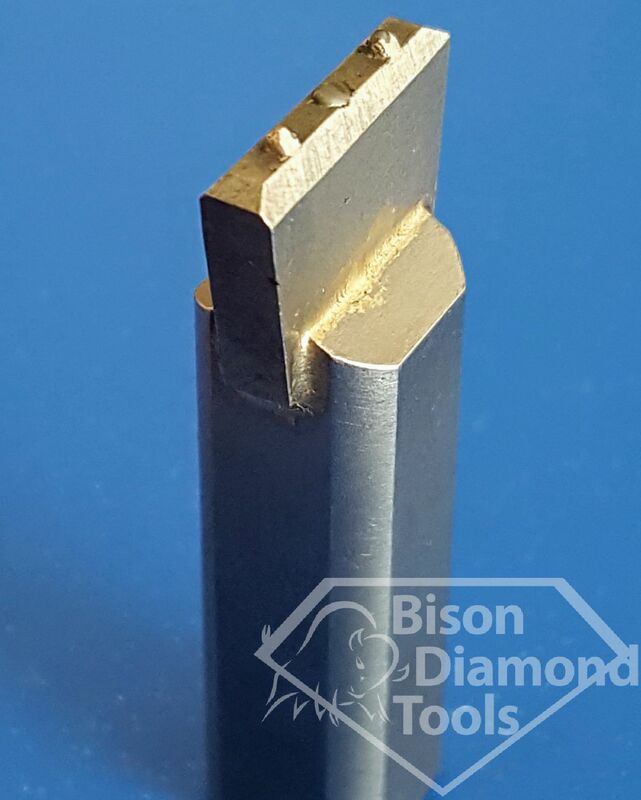 Heavy duty single layer blade Clusters to use instead of large karat weight single point tools for straight-face dressing wide-faced wheels on centerless grinding machines. BHC-3S. 3 Stones set at 0 degree. BHC-3-10. 3 Stones set down at 10 degree angle. BHC-3-15. 3 Stones set down at 15 degree angle. Heavy duty single layer blade Clusters to use instead of large karat weight single point tools for straight-face dressing wide-faced wheels on centerless and cylindrical grinders.